At the risk of being too British centric (you, gentle readers can help us avoid that!) I just came across a fascinating collection of mostly radio documents relating to the suffragists on the site of the BBC archive. Worth a listen. I particularly like the 1946 talk by Ada Flatman. The enthusiastic and melodic delivery alone is worthwhile. 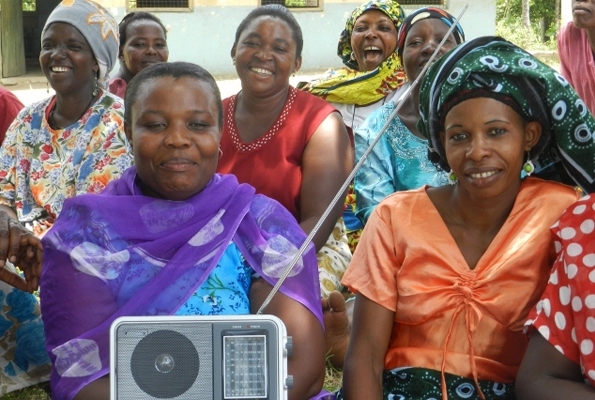 Lydia Ajono interviews Freda Pigru, a young radio station manager in rural northern Ghana, and West and Central Africa Representative to the Women’s International Network of AMARC (the World Association of Community Radio Broadcasters). Pigru describes her activities running a rural community radio station and especially recruiting and supporting women, who are shy of talking on mic but sometimes sing their issues. There are many fascinating aspects of the interview, including finding ways for women to feel comfortable speaking on the radio – sometimes singing works better! – but also note on the beginning the interviewer also asking about having enough language competence to operate in a transnational environment of AMARC (specifically whether her French is up to it) and living near the border between Ghana and Burkina Faso. Do also note the call to help fund the stations run both by Lydia Ajono and Freda Pigru, which can also be done via WINGS: wings@wings.org.